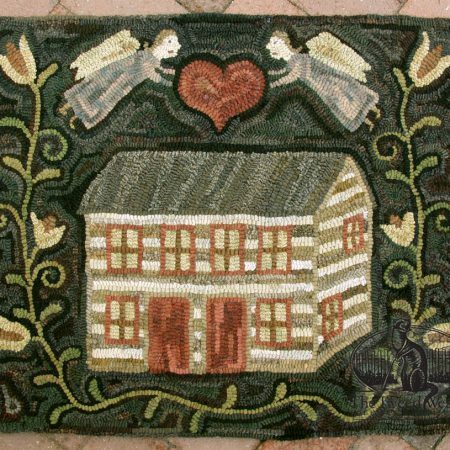 A folky log cabin surrounded by fraktur-style tulips and a pair of heart-carrying primitive angels. This design includes all the simple artfulness you may need for a sweet remembrance. 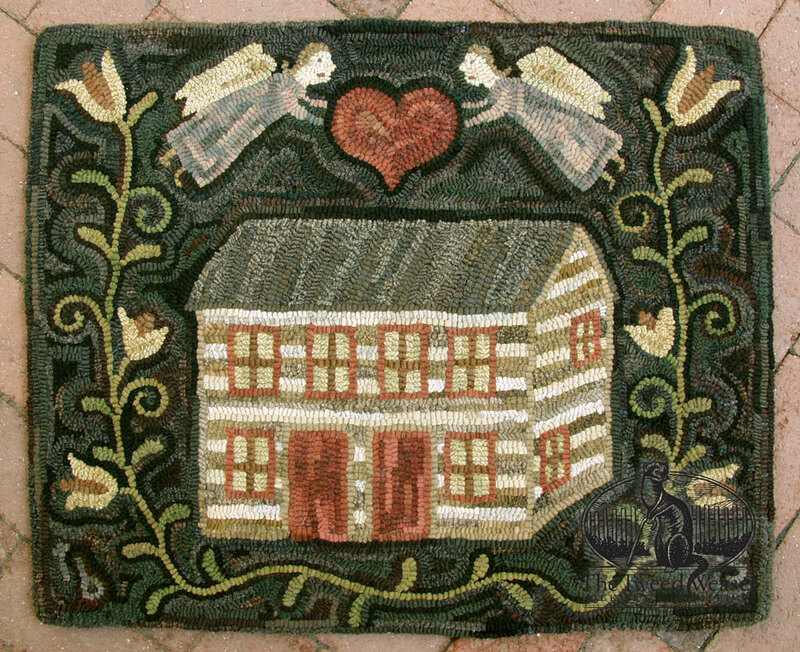 Designed and hooked by Tish Bachleda. If you prefer a different size, let us know the desired dimensions and we’ll provide an estimate. If you intend to hang this design on your wall, we do provide professional frame mounting services. Ask for details. $1,225.00 Add to Wish List What is this?